Did you know your company probably has intellectual property that needs protection? Many business owners don’t know they have intellectual property assets. Nearly every business has some form of unique name, logo, slogan, or confidential trade secret that gives it an advantage over competitors. The business receives economic value from the secrecy. The definition of a trade secret for these purposes is generally broader than under state law. Federal laws have protected trade secrets over the years. The Economic Espionage Act (EEA) of 1996 makes it a federal crime to steal trade secrets relating to products in interstate or foreign commerce. The EEA only allowed for the criminal prosecution of trade secret theft. However, President Obama signed the Defend Trade Secrets Act (DTSA) in April 2016 to extend measures in the EEA to allow trade secret owners (a.k.a. business owners) to bring civil suits in federal courts when their trade secrets were misappropriated. The DTSA does not eliminate or preempt state law remedies. Instead, it adds to potential remedies and creates uniformity across states that have adopted various versions of the Uniform Trade Secrets Act. How Does the Defend Trade Secrets Act Help My Business? The DTSA has amended the EEA to allow an owner of a trade secret to bring a civil action if the trade secret is related to a product or a service used in or intended for use in interstate or foreign commerce. The DTSA does allow a business owner to recover even if the trade secret is used exclusively internally by the company or is still in the development stage so long as the trade secret is related to a product that is intended for use in interstate commerce. 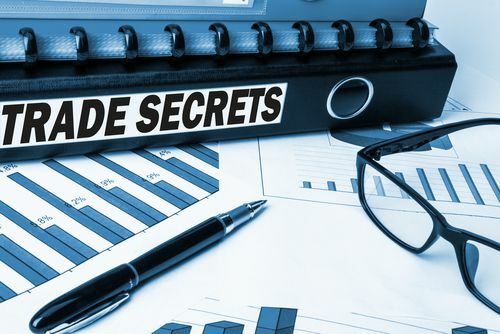 Disclose the trade secret even without knowing that it was a trade secret or that it was obtained through improper means if they are aware of facts that suggest the trade secret was obtained improperly. Obtaining trade secrets improperly can mean by theft, bribery, breach of a duty to maintain secrecy, or espionage through other electronic means. Reverse engineering, independent derivation, or other lawful means are not prohibited under the EEA or DTSA. What Happens if Someone Misappropriates My Business’s Trade Secrets? If someone misappropriates your business’s trade secret, the DTSA and EEA may give you several remedies or courses of action. Under the EEA, federal prosecutors can bring criminal charges against a person who misappropriates your business’s trade secrets. Under the DTSA and in federal civil court, your business may be granted equitable remedies, actual damages, punitive damages and attorney’s fees. Under extreme circumstances, the DTSA may also permit the court to order an ex parte seizure of the misappropriated trade secret without the defendant’s knowledge. This is intended to stop any potential distribution of the trade secret without the business’s permission. When Does the DTSA Not Protect My Business’s Trade Secrets? The DTSA does allow employees acting as whistle blowers to disclose trade secrets to government officials in confidence if disclosed for the purpose of reporting a violation of law. Employees are also immune if they disclose trade secrets in a complaint or other document filed in a lawsuit if made under a protective seal so as to not be available to the general public. Employers are now required to give employees notice of this immunity provision in any agreement or contract with the employee that involves the use of a trade secret or other confidential information, including non-compete agreements and severance agreements. If your business does not amend its contracts and agreements, your business may not recover certain damages in an action for misappropriation of the trade secret under the DTSA. Your business may have intellectual property and trade secrets that you haven’t fully protected. Contact an experienced employment law attorney at Gignilliat, Savitz and Bettis, LLP today to review your trade secrets and employment agreements and contracts.